Too busy working and no time for vacation to other city? Some people choose staycation in hotel or rent an apartment in strategic location. For family, renting apartment for staycation is the best choice because you will get more space. Not just that, you will also get a small kitchen to cook supper. West Jakarta is one of the favourite place for staycation because there are so many tourism site here. 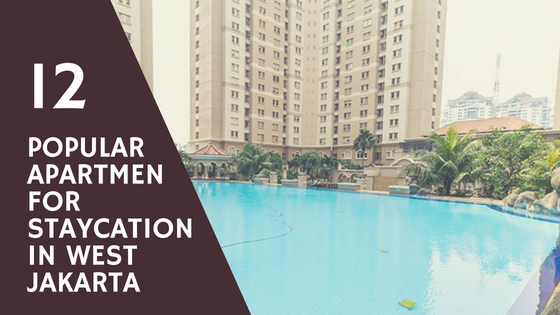 Check out these list of popular apartments for staycation in West Jakarta! Popular known as Mediterania 1, this apartment has a large swimming pool with laguna style. If you love swimming, you will enjoy this pool. Beside that, Mediterania 1 is located inside Podomoro City Superblock near Central Park Mall and Neo SOHO Mall, two favourite shopping malls in West Jakarta. Although the swimming pool in Royal Mediterania is not using laguna style like Mediterania 1, it still large enough with viewing deck. Royal Mediterania Garden is also located inside Podomoro City Superblock and it’s only walking distance to Central Park Mall and Neo SOHO Mall. If you are looking for some culinary hunting, Tanjung Duren and Greenville will provide you with many cafes and restaurants. Want to try staycation in premium apartment? Try Central Park Apartement! 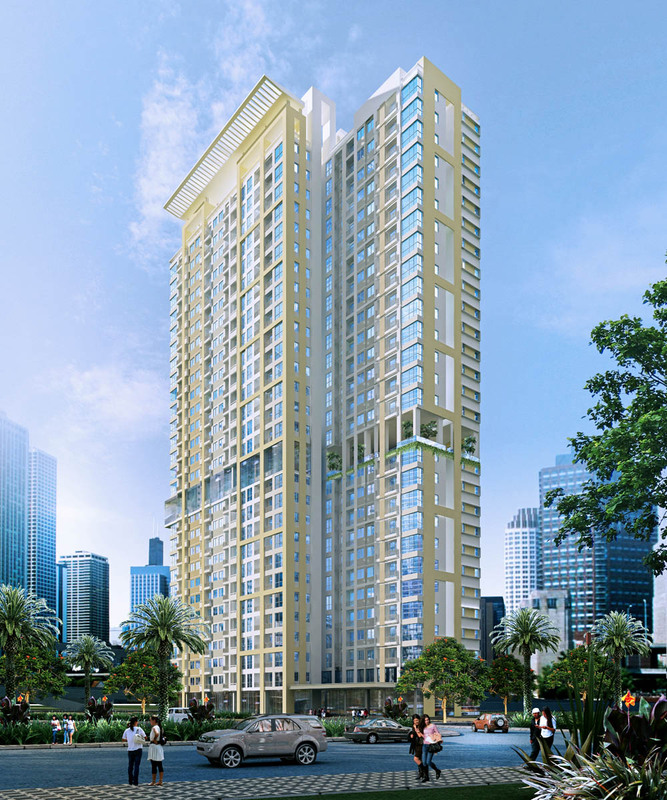 Located at the top of Central Park Mall, this apartment is connected to APL Office Tower. 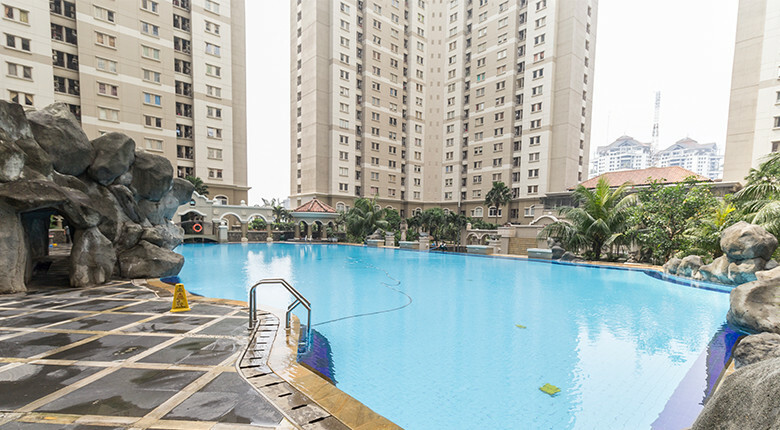 Central Park Apartment has a premium facilities like swimming pool, fitness center, tennis court, basketball court, tennis court, and many more. This apartment is located right in front of Taman Anggrek Mall, so you can just walk to visit the shopping mall. Not just Taman Anggrek Mall, Central Park Mall and Neo SOHO Mall are only walking distance from this apartment. Westmark also has an outdoor sky lounge at 15th floor. You can use this lounge for working or relaxing with your friends or family. 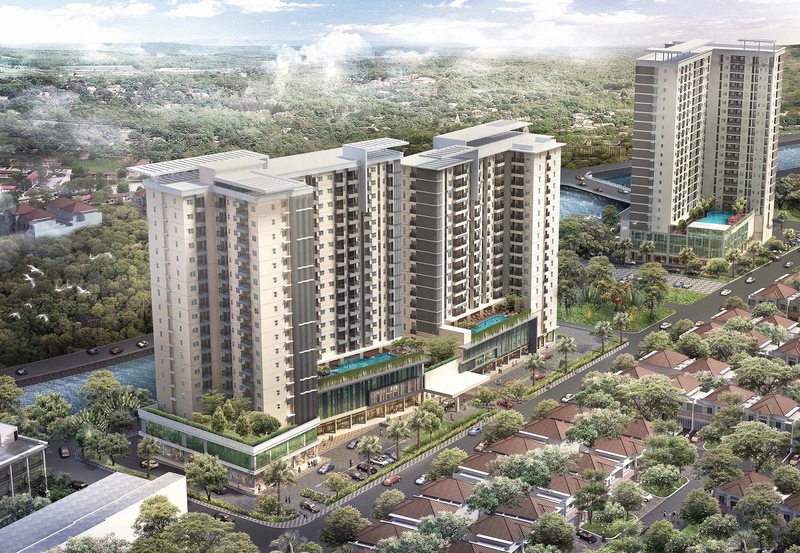 As a condominium apartment, you will find a spacious unit in Taman Anggrek Condominium. 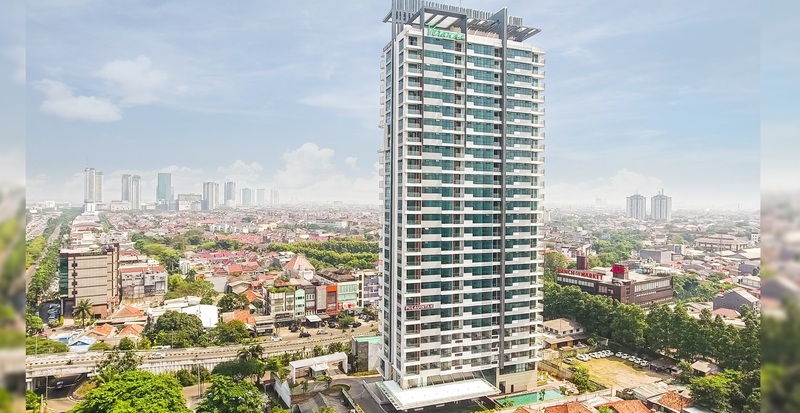 This apartment has a direct connection to Taman Anggrek Mall with a complete facilities, as well as swimming pool, fitness center, children playground, basketball court, and many more. If you want to visit Taman Anggrek Mall, don’t forget to try the ice skating rink too! This apartment is located at the top of Lippo Mall Puri, and also one of premium apartment in West Jakarta. If you choose St. Moritz for staycation, do enjoy large swimming pool, jacuzzi, tennis court, basketball court, BBQ area, fitness center, and many more. Don’t forget Lippo Mall Puri and Puri Indah Mall near there, you will find cinema, restaurants, fashion tenants, and many more. This apartment is located in Grogol, West Jakarta. Seasons City Apartment is connected to Seasons City Mall, so you can find many entertainment or shopping there. If you have kids, take them to Fun Season, the edutainment area for kids. In Fun Season, you will find mini roller coaster and ferris wheel. Not just Fun Season, you can also find salon, cafe, restaurants, fitness center, cinema, and grand ballroom in this shopping mall. Just like its name, this apartment has a sky lounge for each tower. You can use this lounge for sitting and enjoy the scenery with your family or friends. Love swimming? Don’t forget to try the laguna style swimming pool! Sky Terrace is located in Daan Mogot Baru, only walking distance to Daan Mogot Mall and The Bale culinary center. Veranda is located in Superblock Puri Indah and surrounded by many cafes and restaurants. You can easily go to Lippo Mall Puri, Puri Indah Mall, Jakarta Inner Ring Road, and Jakarta Outer Ring Road from this apartment. Veranda provides a complete facilities such as swimming pool, fitness center, children playground, library, rooftop garden, and many more. Eager for some culinary hunting? Try staycation at Belmont Residence! This apartment is located near OTW Food Street, Jawara Food Court, and many more cafés and restaurants around this area. Not just surrounded by food, this apartment also has a complete facilities like swimming pool, jogging track, fitness center, children playground, and many more. Located at Hayam Wuruk mainroad, this apartment is really close to Jakarta Old Town (also known as Kota Tua Jakarta). In Jakarta Old Town, you can visit many museums, food hunting, or take as many photos as you like with those old buildings. If you want to visit shopping mall, you can try to visit Gajah Mada Plaza or Mangga Dua shopping center. In Mangga Dua, you will find anything you want, fashion, electronics, and many more. This apartment is located near Taman Palem Mall and City Park Business District. If you are looking for nature tourism, you can visit Angke Kapuk Mangrove Forest. This city forest is also known as wildlife sanctuary and features numerous mangrove trees, as well as monkeys and a variety of birds. Angke Kapuk is also a favourite place for pre wedding photoshoot, so don’t forget to take as many photos as you like there! So, which apartment you will choose for your staycation?